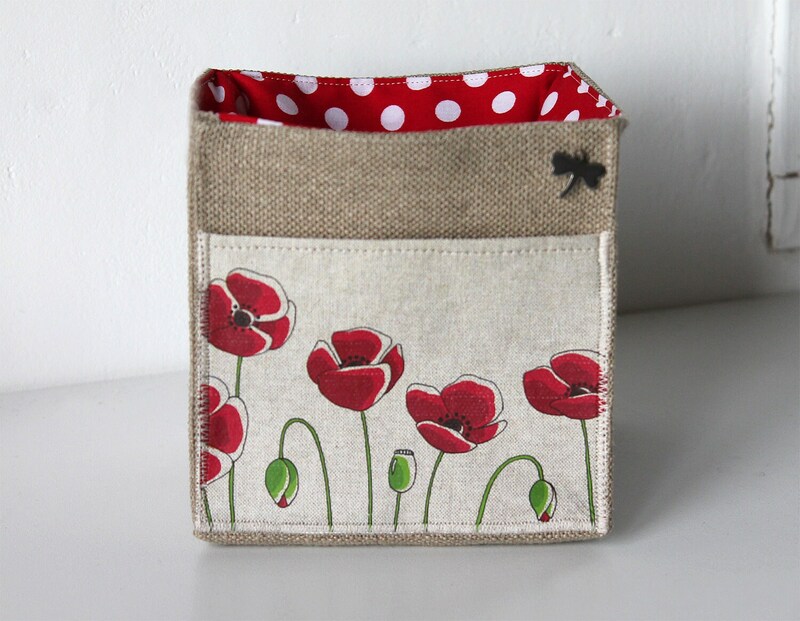 Small basket square natural linen featuring I wanna poppies! 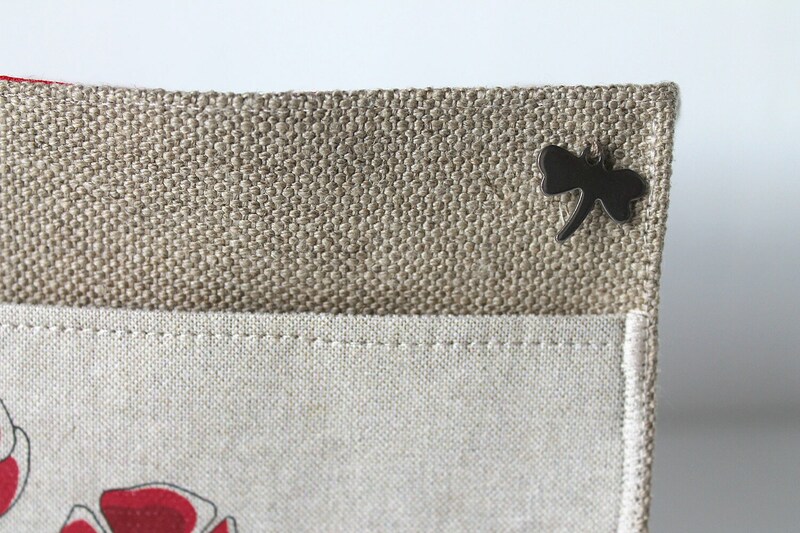 Small basket square natural linen featuring "I wanna poppies!" 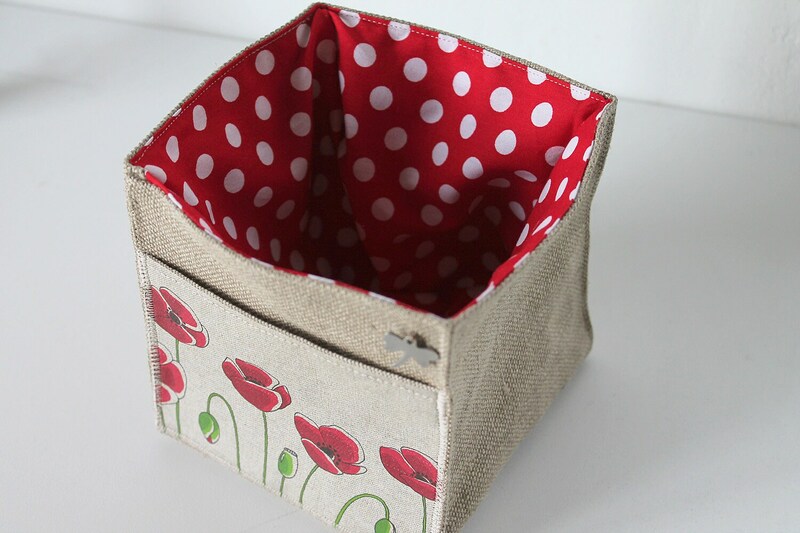 Fabric basket just soft natural raw linen lined with red cotton with white polka dots. Small pocket on the front with illustration "I wanna poppies! ".